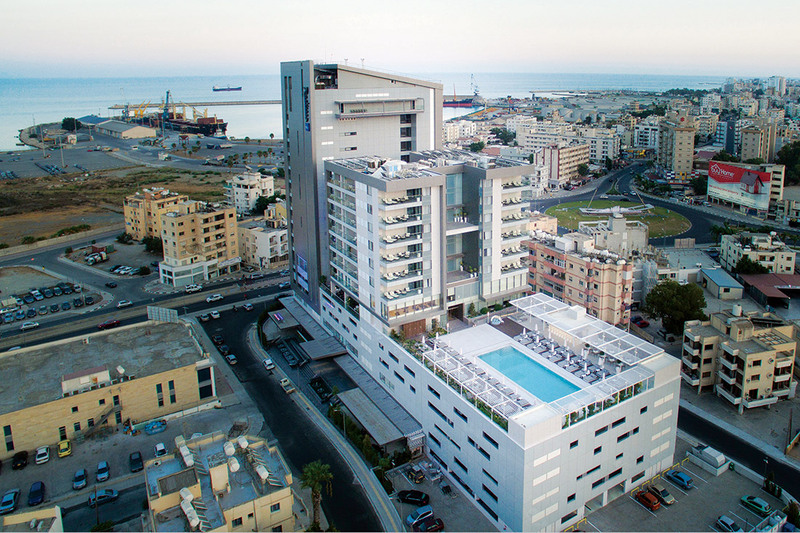 The Radisson Blu is the first international brand hotel in Larnaca. 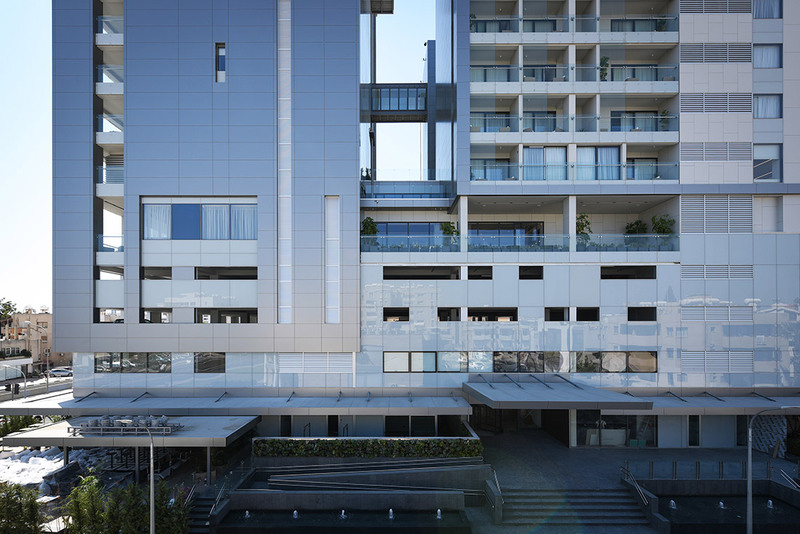 It operates as a business hotel considering its proximity to the main airport, port and future potential of Larnaca. 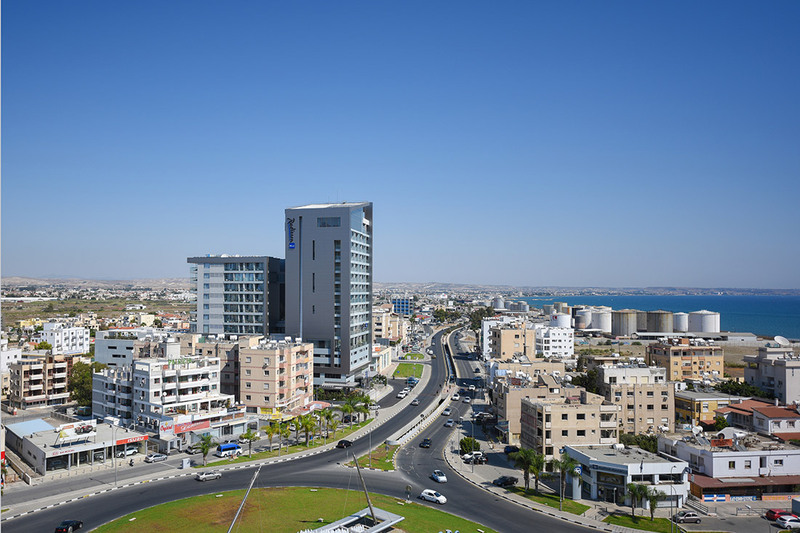 It is strategically located within a neglected area on the north edge of the city behind the commercial port. It is also sited on the southern end of a 4 km beachfront zone, currently occupied by petrol and gas storages, which is undergoing a rehabilitation master plan. The industrial facilities will be relocated and the beachfront will be developed extending the city’s tourist, residential and public facilities. 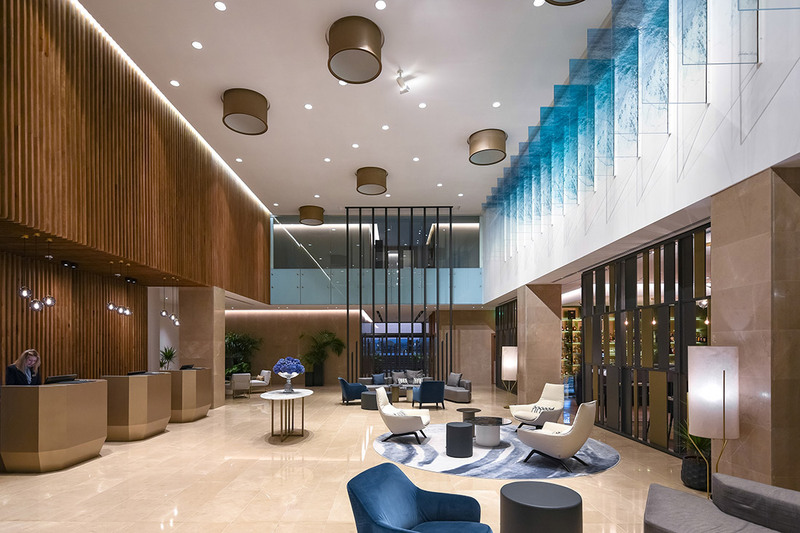 The project is acting as a catalyst for the upgrading of the area encouraging planners and investors alike. The striking contrast between the new building and its derelict surroundings is indicative of the investors vision, already causing a positive effect expressed in an increased construction and economic activity in this poor area. The project is compacted within the limited urban plot of 5600 m² and it has been conceived as a synthesis of 3 basic volumes. The base plinth of 5 levels and two detached towers above, one of 16 levels to the east facing the sea and the second of 12 levels to the west. 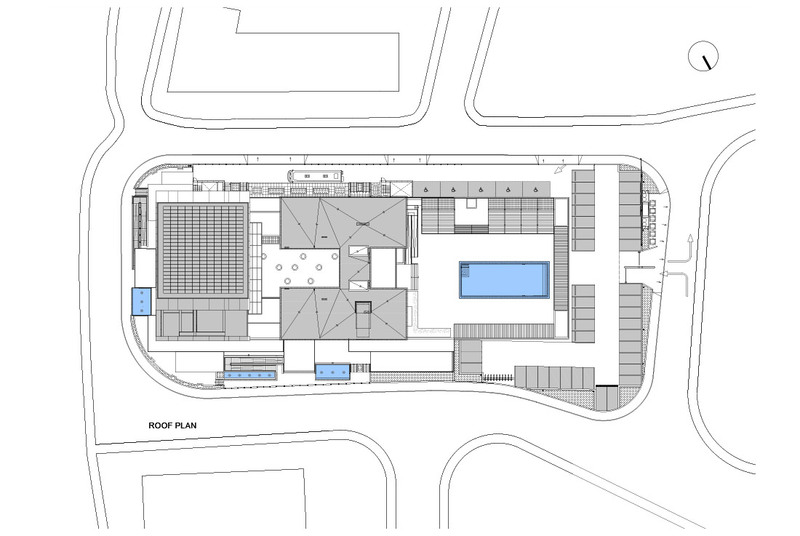 This differentiation of the volume of the building was done in order to achieve a sense of lightness and verticality. 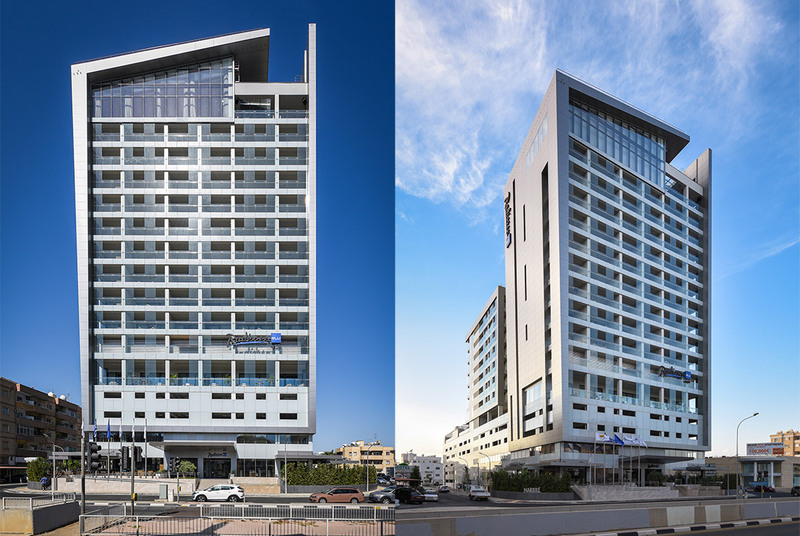 The new Radisson Blu business Hotel in the port area of Larnaca marks the beginning of the rehabilitation of this derelict area and sets the paradigm for the future seafront development.